Both during pregnancy and after pregnancy, you may experience different changes with your body. One of the most common changes that woman experience while pregnant is weight gain and something that should always be expected. However, there are many other ways that your body may change that you may have overlooked or have simply never heard about before. You will go through some major changes during this magical time in your life that truly transforms you. The following are a few surprises that new moms-to-be can look forward to while their body goes through many changes. After delivering your newborn, one change that you may go through is hair loss. You may lose anywhere from a small amount of hair up to 100 hairs each day! During pregnancy, woman typically do not lose a large amount of hair due to all of the hormones in their body. After delivery, you may lose hair for up to 6 months as your body compensates for the hair loss that it did no go through during pregnancy. It is very common for your skin to start breaking out after conceiving even if you did not have acne prior to becoming pregnant. This is due to the spikes in hormones that you will be going through. In addition, these hormones can linger around after birth, also causing acne which can be treated by a dermatologist. Another skin-related change may be discoloration such as brown line that goes down the stomach and a red rash on the chin area. 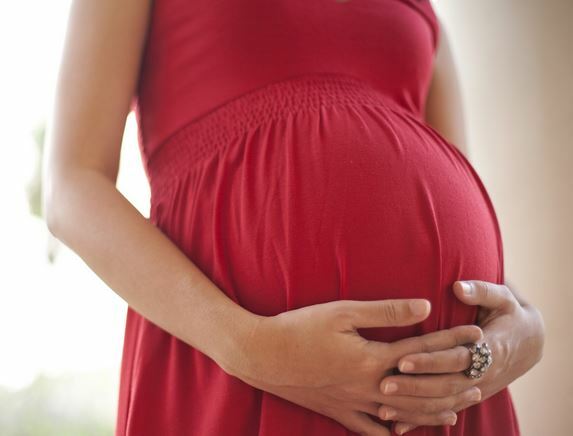 Varicose veins are very common for women to get during pregnancy. This change is typically caused by the weight of the baby putting pressure onto the veins which makes it harder for blood to return back to your heart at a normal rate causing swollen-looking veins. Pregnancy is known to permanently change the size of your feet. The typically increase in the length of the foot is anywhere from 2 to 10 millimeters. While weight gain is not to blame for larger feet both during and after pregnancy, estrogen and relaxin may have a say in this change. This may lead to having to buy larger shoes after delivering. In addition to larger feet, you should expect to have larger hands after pregnancy. It is common for fingers and hands to swell up during pregnancy, meaning that you may also need to have your rings re-sized. This is typically caused by retaining a large amount of water. After delivering, your hands may return to their normal size. Hormonal changes during pregnancy can lead to dental problems such as gingivitis, tooth decay and loose teeth. Consider visiting the Drake Dentistry Charlotte location to improve your oral health while pregnant as some dental hygiene problems can also lead to problems with your pregnancy. Other changes that you may see during pregnancy include larger breasts, swollen legs, sweating and more. A doctor should always be consulted if you experience uncommon symptoms associated with pregnancy.